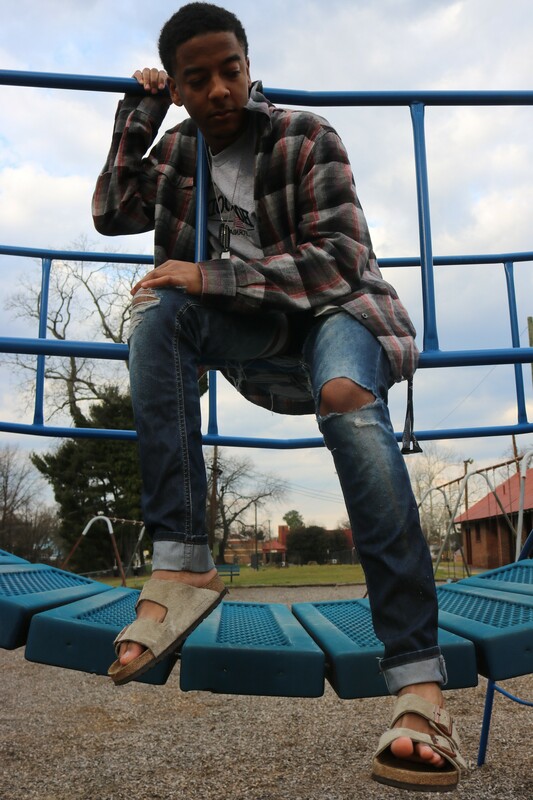 Between writing books and running an independent creative agency, UNIT 4, VCU senior Ryan Daley is a young, up-and-coming rapper. Daley said he is strongly influenced by hip-hop, utilizes and embraces various sounds and genres of music. Furthermore, he doesn’t hold himself to any signature sound and transcends any specific label of music. Daley said his second album, “Winter,” is a commemoration of both the toughest period of his life thus far, and his most recent life hurdle. “I want this album to resonate and relate to kids who have similar struggles. Whether it’s divorce, the struggles of school and relationships,” Daley said. Born in Washington, D.C., Daley said he had a tough time growing up. In addition to dealing with the challenges of the D.C. public school system, his parents’ relationship faltered as a child. After their divorce in 2006, Daley decided to move to Arlington, Virginia with his mother. Though he still dealt with split custody, he soon found solace in his new environment. After meeting new friends in middle school such as close confidant and business partner, fellow VCU senior Deonate Murphy, Daley soon got into music. Inspired by Drake, Daley said he strives to not only have the same impact as the Toronto MC but also the enduring emotional connection he has with his fans worldwide. With Daley’s second album set for release in the coming months, he said the project is a mirror full of emotions and life experiences that truly showcase his growth as an artist while also detailing struggles and challenges. With the ascension of rappers Drake and Lil Wayne, Daley soon began to write his own raps and make his own music. After a tumultuous first year at his father’s alma mater, Dillard University, Daley decided to join Murphy at VCU. Since then, Daley said he has seen his artistic capabilities grow. “I really like VCU, it’s been a great four years here. I didn’t start getting involved until last year and it’s been great,” Daley said. During his first year at VCU in 2012, Daley released his debut project to much disappointment. One of the things Daley unabashingly talks about in his upcoming album is his relationship with his girlfriend. On the album’s most personal song, “Summer 2014 Voicemail,” Daley details the rough stretch the couple went through. With “Winter” slated for release in the coming months, Daley said the album will definitely be out by June on all music platforms such as Google Play, Spotify, Apple Music and Soundcloud. The album will also include several music videos and be distributed and marketed by UNIT 4, a creative agency he owns with Murphy and others. “This is a body of work that I spent two years working on so I want people to get a good grasp of who I am and what I stand for when listening to ‘Winter,’” Daley said.